What is context marketing? And what does it have to do with customer experience? Context marketing gives you the power to understand your customers and offer them a truly personalized experience. It can help you deliver the right content or services to the right people at exactly the right time. Organizations that market to customers in the context of those customers' current and past interactions know exactly where customers are on the decision journey. More important, they can assess and figure out what might improve the customer journey and guide customers toward purchase. However, few organizations are managing to market in context and effectively manage the customer experience. That's because doing so requires investment in the right marketing technology and the dissolution of traditional silos-by-channel that exist in most marketing departments. 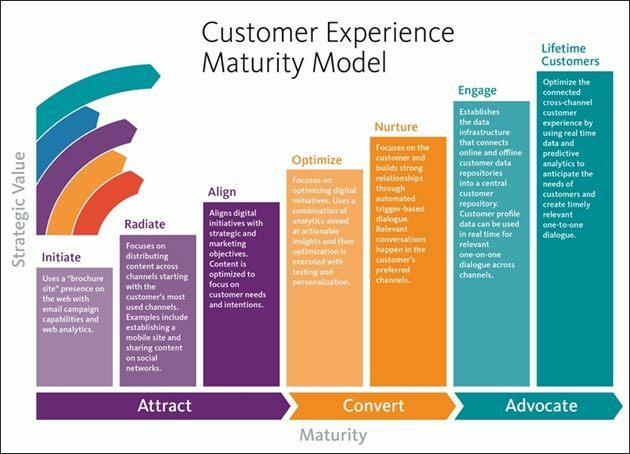 With the following approach, any organization can lay the foundation for success with its customer experience program, from the early stages of transformation to more mature stages of customer delight (see customer experience maturity model, below). Lars Birkholm Petersen is VP of business optimization services at Sitecore, a customer experience management platform provider.